What is so artificial about artificial intelligence? Portrayals of A.I. in movies and television have engineered an image of personable robots, sentient and more humane than humans. In reality, however, A.I. and machine learning processes currently play a major role across a vast spectrum of applications, including but not limited to the military, financial and healthcare industries. To comment on how technology and the appropriate tactical usage thereof are revamping the healthcare industry, ExecutiveBiz reached out to Rob Silverman, a senior vice president at Booz Allen Hamilton, for his input on the trial-and-tact of “productively disrupting” by focusing on big data to uncover insights and new ways of working better and more efficiently. Let’s start with your background. How did you get to where you are today. Rob Silverman: I’ve always had an affinity for math and data science, starting as a student then continuing on to my professional career, solving problems for public and private sector clients through analytics. I’ve been really fortunate and blessed to have worked in so many different markets, and with so many clients, colleagues, and problems. They’ve helped me think about long-standing problems from diverse perspectives. For example, how can we apply defense-grade platforms into the health research space? These days, I lead Booz Allen’s business with the Department of Health and Human Services, delivering technology and consulting services to the agency and all of its operating divisions. Any notable experiences along the way? What are some of your highlights? One thing that really made a mark on me was our work with the latest Base Realignment and Closure (BRAC), transforming the legacy Walter Reed Army Medical Center and National Naval Medical Center into new facilities at Bethesda and Fort Belvoir, and realizing that not only was that a difficult logistical move, but a fundamental transformation of people, processes, technologies and physical infrastructure. It was one of the highlights of my career to serve our Warriors and their families; not just responding to the “tyranny of the immediate,” but thinking of their long-term care. I’ve had other notable experiences from engaging on the Next-Generation Air Transportation System to the Nation’s nuclear complex, but there is something so deeply personal about serving health clients, whether it’s serving veterans and active duty personnel, applying data science to fight heart disease and cancer through precision medicine, using available data to predict and prevent disease outbreaks, facilitating drug approval and monitoring processes, improving platforms and processes for Government insurance programs, or engaging a megacommunity to address the nation’s opioid crisis, we have an amazing opportunity to improve the daily lives of U.S. citizens. It is being consumed with a near-term thing that we can fix, to the exclusion of a more considered and thoughtful response to the entire, long-term need; in the case of Walter Reed, we don’t simply close a building and say “last one out get the lights.” Sometimes we get caught up in that, rather than how we build for the long haul. For example, how do we build cybersecurity and privacy into all that we do, rather than addressing it retroactively? How can we build health research and open data platforms that work not just 10 days from now, but 10 months or 10 years from now? Tyranny of the immediate is getting so caught up in the ‘now’ and not looking forward to the future. Where do you see the greatest opportunities to help the public sector with healthcare changes in the future? There’s an irony to that question. The things that are occurring in the public sector are changing and disrupting the entire healthcare industry. Whether it’s the policies and systems from the Centers for Medicare and Medicaid Services, or the FDA’s drug approval process and platforms, or research at the NIH – these are things that are affecting the broader healthcare industry, both private and public sectors. As far as the public sector is concerned, the biggest opportunity that I see is about data, and harnessing the power of all the data that we have access to and democratizing that data for individuals, be they researchers or citizens, to improve healthcare outcomes. 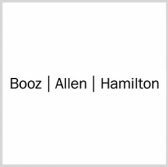 For example, Booz Allen is engaged with Military Health and the VA to unlock the power of data present in electronic medical records to improve health and healthcare delivery. Engaging in government efforts from the VA’s Million Veteran Program to NIH research data sharing, we are proud to stand with our clients on the leading edge of the many data efforts in the federal healthcare space. In your opinion, when dealing with sheer volume of data what role does the artificial intelligence play? What are your thoughts on machine learning? What are some of the developing technologies that you’re watching for the future? A huge topic of conversation right now is blockchain. There is a lot of talk, but I’m big on walking the walk. At Booz Allen we’ve built ‘no-kidding’ blockchain solutions to securely share data from hospitals for biosurveillance. We see other blockchain use cases around sharing data and tracking a chain of custody for disease research. Agencies that have a payment responsibility like CMS, Military Health, and VA, are exemplary use cases for blockchain. Whereas blockchain is a potentially transformational innovation, there are potential adjacent innovations—applying innovations that work elsewhere into the health space—around applying proven open data platforms from defense and finance into health. On the company website you used the term “productive disruption.” Can you tell our readers what that means? I harken back to a high school coach who would say “you never stay the same; you get better or you get worse.” Productive disruption can fix what’s already broken, but the magic is to dramatically improve things that already seem to be working just fine. Think Uber, Netflix, and AirBnB and how they fundamentally disrupted entire industries. At Booz Allen, we think that way and are never comfortable with the status quo, we’re always looking for ways to improve, even when things are supposedly working. If you ask me, the perfect time to disrupt is when everything is occurring in a productive way; there are always opportunities to push the boundaries of what’s possible. Robert Silverman supports the data analytics and social science needs of clients such as the Department of Health and Human Services and the Department of Veterans Affairs. For over a decade, Robert has provided analytics, operations research, and program management services to a broad range of the firm’s civil government, defense, and commercial clients in areas including health, energy, transportation, and infrastructure. He has been published for his research on advanced analytics for capital program management. He has also been active with a variety of organizations including the National Academies of Science, the Partnership for Public Service, the Project Management Institute, the Electronic Health Initiative, and the Association of Government Accountants. 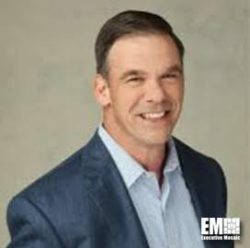 Executive Spotlight: Interview with Jim Visich, Director of Operations Intel Group at CSRA Inc.